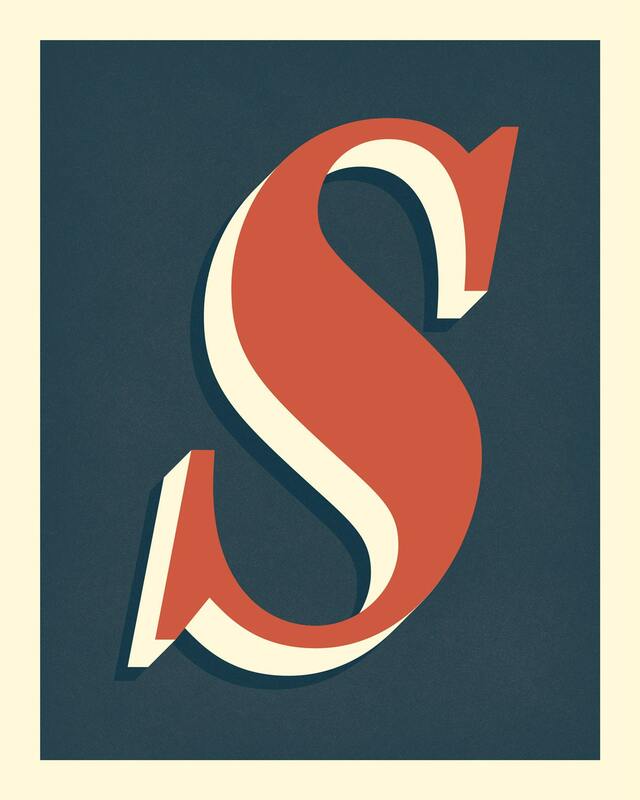 S is for...Sam, Sally, Sidney, Stephanie, Shane, Seamus... 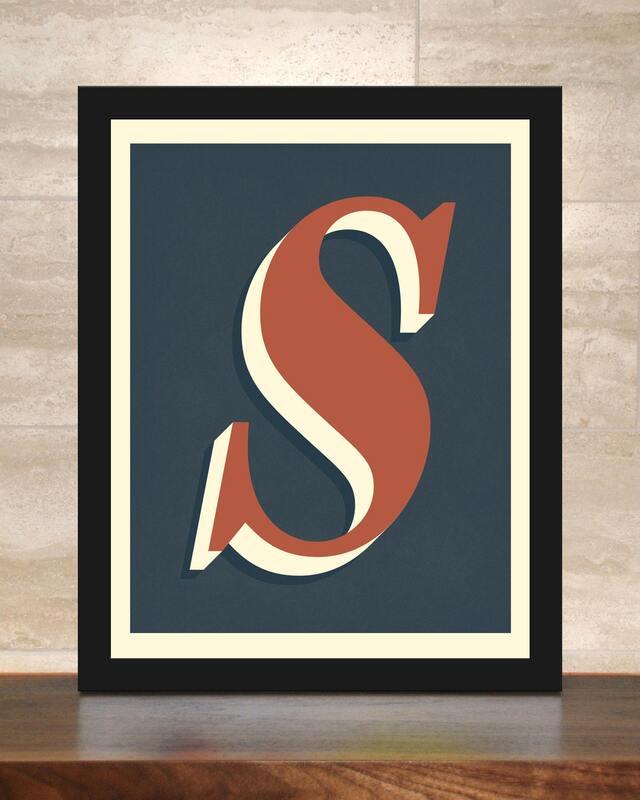 The Letter S is printed in red orange with a chunky cream drop shadow on a midnight blue background. Some light digital "distressing" and grain has been added to give the print a worn, vintage look.